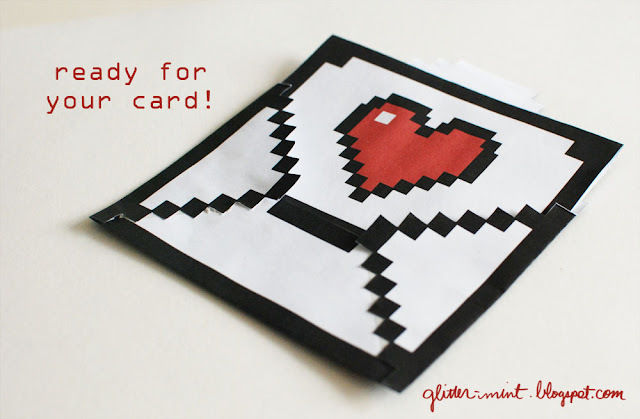 Valentines day is coming up and we decided to share this fun printable with you! We've seen a lot of really great printable valentines, but what to put them in? When you send out a valentine as cute as these pop up pixel ones or woven ones from Minieco, you should house them in something just as adorable! 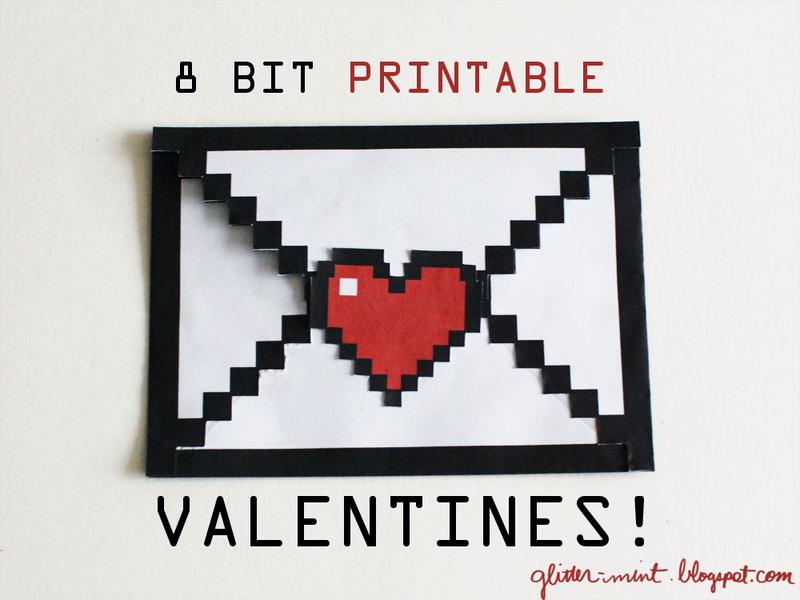 Inspired by the sleeve from Big Big Pixel, we designed this 8-bit envelope to put your valentines in. 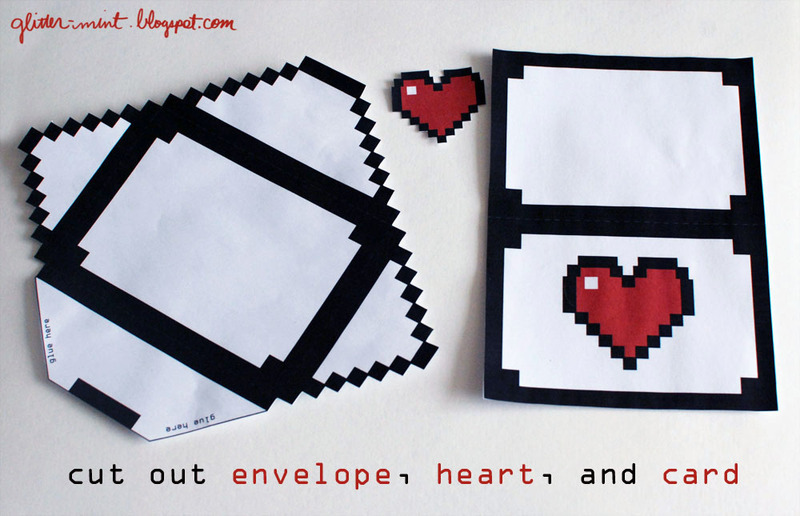 We also threw in a little valentine card that fits perfectly into the envelope. 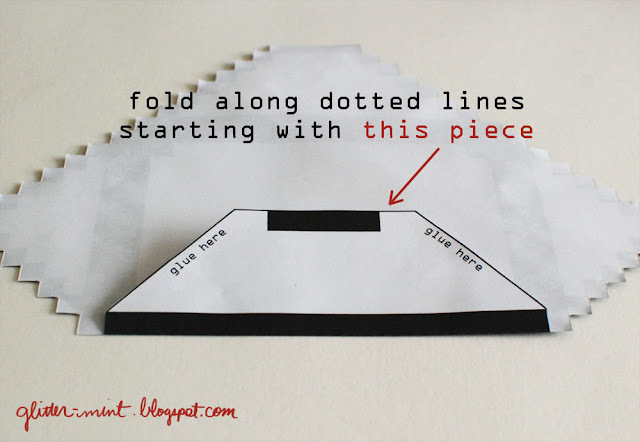 Print out your own below! 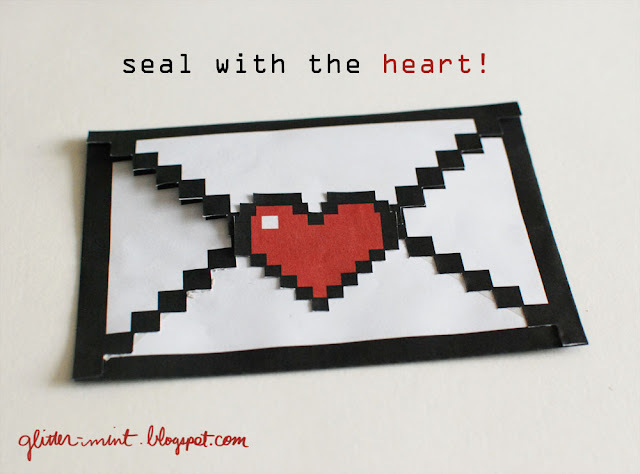 >>Download the envelope right here! >> Update: Now we have a mini version of the envelope! Download here! 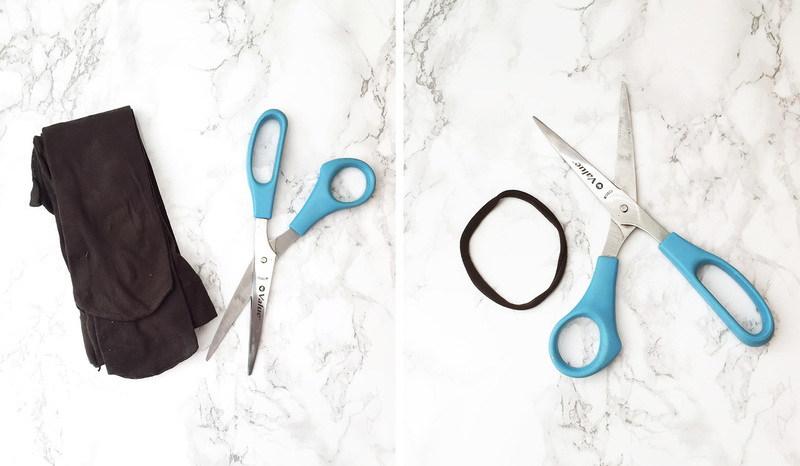 >>I recommend using an X-acto knife to cut out the envelope and heart. 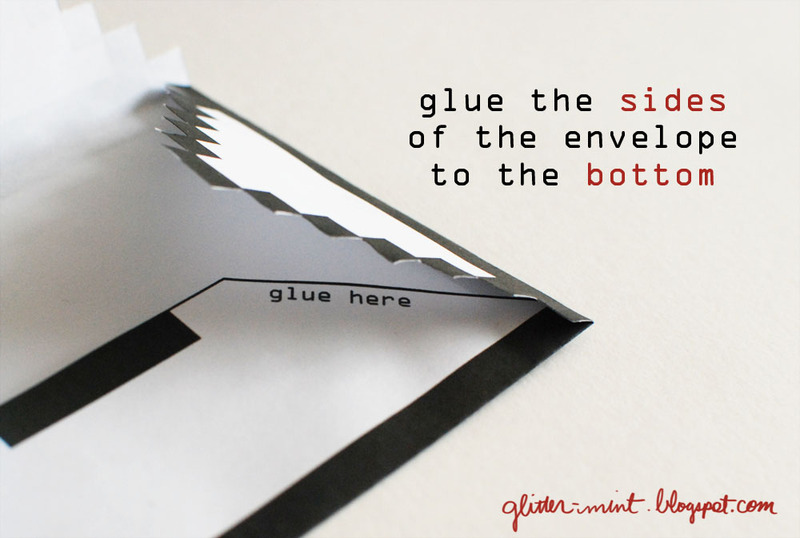 Is there a way to make a 5 x 7 size envelope? 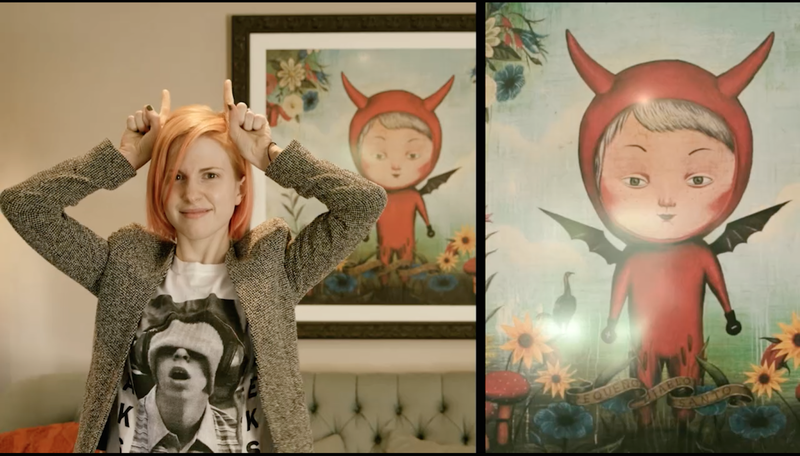 This is super cute!